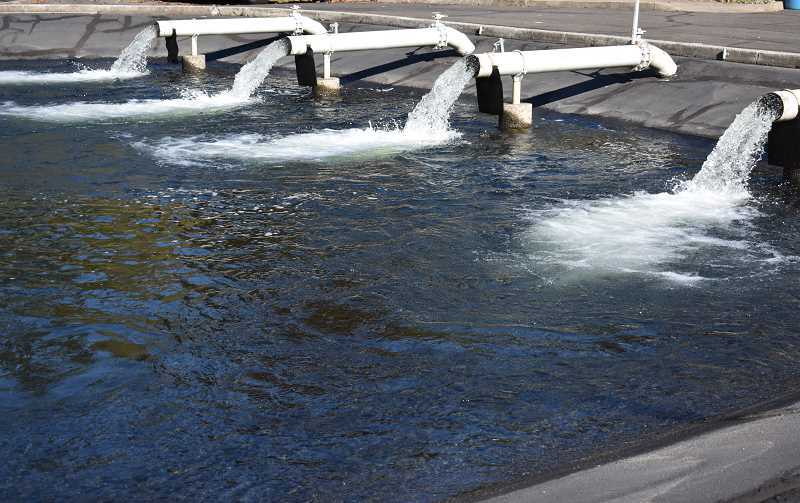 Operators at the Clackamas Fish Hatchery are looking forward to an upgrade that will allow eggs incubated at the facility to remain there while they hatch and rear. Because of water conditions at the facility at Milo McIver State Park — run by the Oregon Department of Fish and Wildlife — eggs from spring Chinook and winter steelhead are shipped to other ODFW facilities in the region as well as a hatchery in Eagle Creek maintained by the U.S. Fish and Wildlife Service. But a new pipeline will create an increased water supply with fewer pathogens, which will allow the fish to remain at the facility prior to making their journey to the ocean. The pipeline will transport water from a reservoir at Estacada Lake rather than pumping it from a neighboring section of the Clackamas River. Legally, the Oregon Department of Fish and Wildlife is able to take water at 50 cubic feet per second, which equates to approximately 450 gallons a second. However, because of conditions on the river, they only retrieve around 20 cubic feet per second. Todd Alsbury, district fish biologist for ODFW's North Willamette Watershed District, noted that one cause of this is the hot and dry summers the region has experienced during the last several years. This has led to lower water levels in the river. "We will be able to fulfill our water right away with the pipeline," said Alsbury, noting that it will allow the hatchery to double its water intake. From Estacada Lake, the water will travel through a pipeline to a building near the hatchery's parking lot. From there, it will be piped to different locations in the hatchery. There are also plans to include a turbine in the pipeline building to eventually create additional sources of energy at the hatchery. Once the project is complete ODFW will no longer have to operate pumps to retrieve water from the river, which costs about $100,000 per year. Construction on the multi-million dollar pipeline project is expected to start next spring and finish in November. 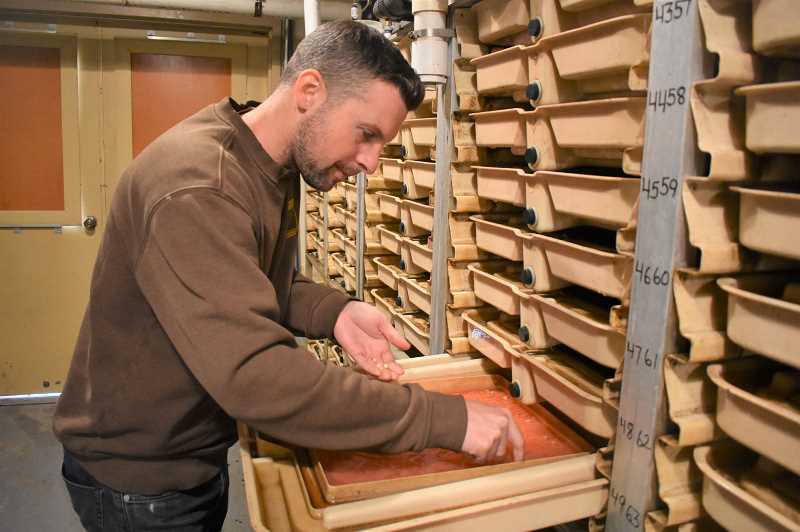 "It allows the program here to expand and creates opportunities to create better fish," said Daniel Straw, manager of the Clackamas Fish Hatchery. "(It's) a more consistent water supply. We know the water is going to be there. Cleaner water, more water, less money — all of those are good things." Along with allowing hatchery fish to be raised at the location, the pipeline will also benefit wild fish on the Clackamas River. Those involved with the project hope the increased water levels will draw additional fish to the hatchery. If fish bypass it, they are sorted at Portland General Electric facilities on the Clackamas River. anglers to catch and take home. "The wild populations (on the Clackamas) are not in a state where we need to do that," he said, noting that risks are posed if hatchery and wild fish breed together. "If they're not caught, the hope is that they return to the hatchery. (The pipeline will) minimize the (impact) of hatchery fish on wild fish in the basin and produce better fish for anglers."